Moods, colors, impressions. 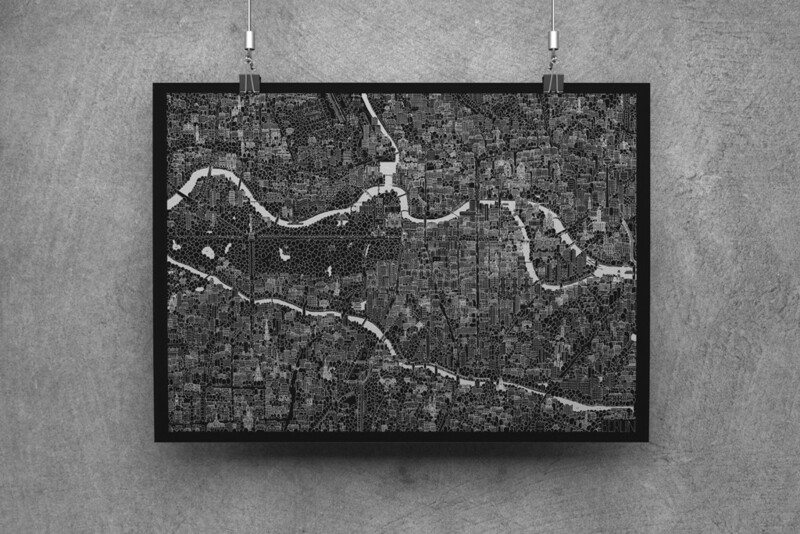 Our large scale Budapest graphic which presents the city from Ferencváros to Óbuda is available as poster or as printed canvas in many color versions – this is the ’impressed by bp’ series. 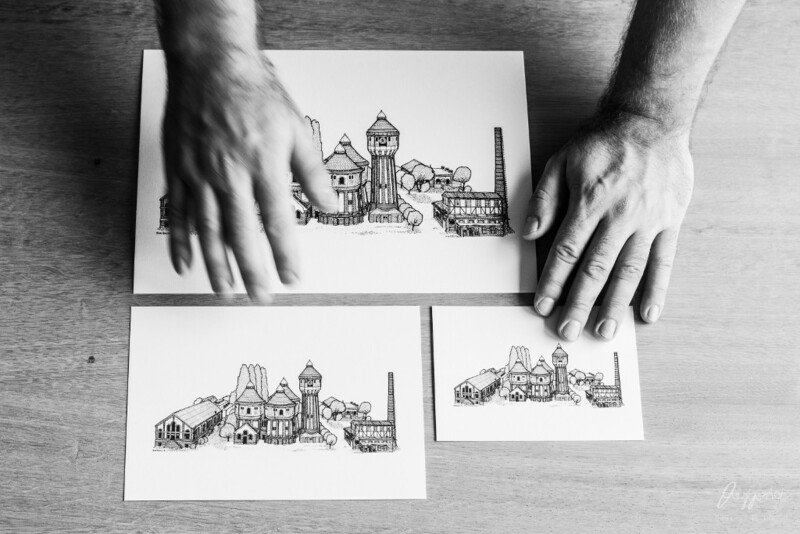 The themes of our smaller prints and postcards are detailed buildings or districts which show the very atmosphere of the city. Urban design with a particular aspect – this is the motto of Urban Sidewalker. We are a design team grew up in Budapest. 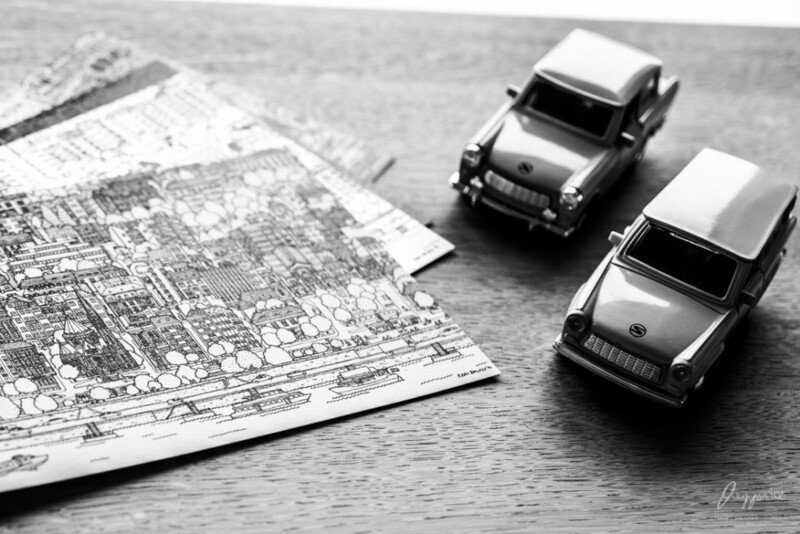 The city influenced us in so many ways that is why we love urban life that much. Every city is different and each has thousands of faces. 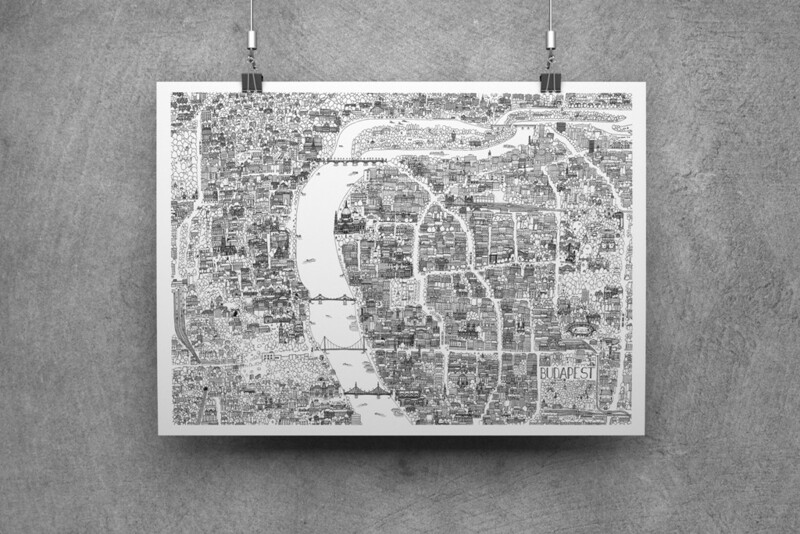 We would like to reflect on this variegation of the cities we know and love with our graphics and design products. 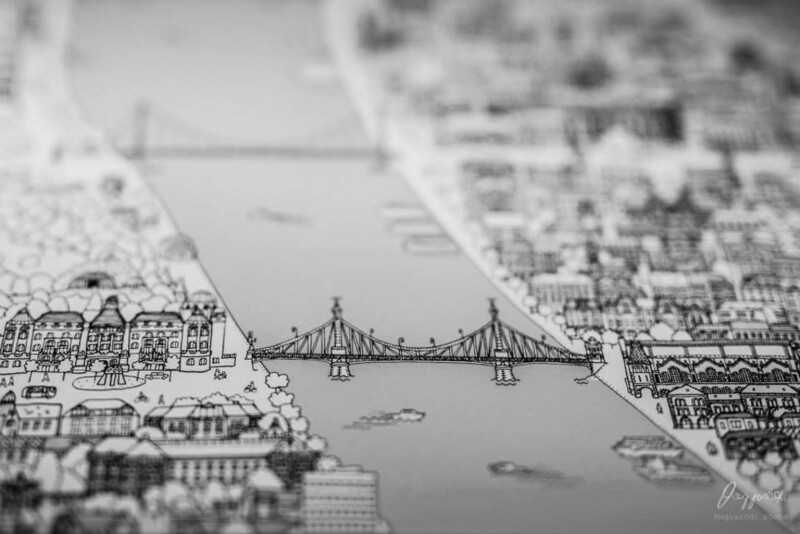 The originals of our city graphics are hand drawn and show the artist’s unique viewpoint. 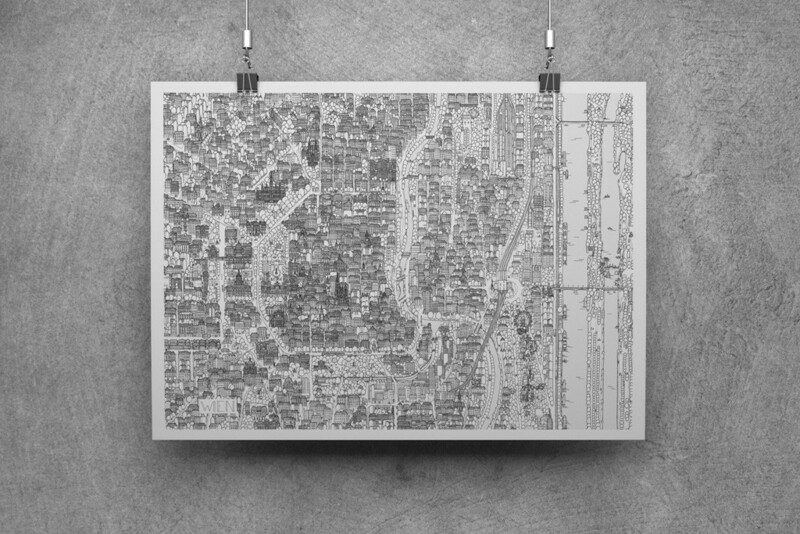 All of our hand drawn graphics are deeply elaborated which makes the colored prints really special as well. Hidden sights, tiny details show up exactly the same way as when you are walking in the city. 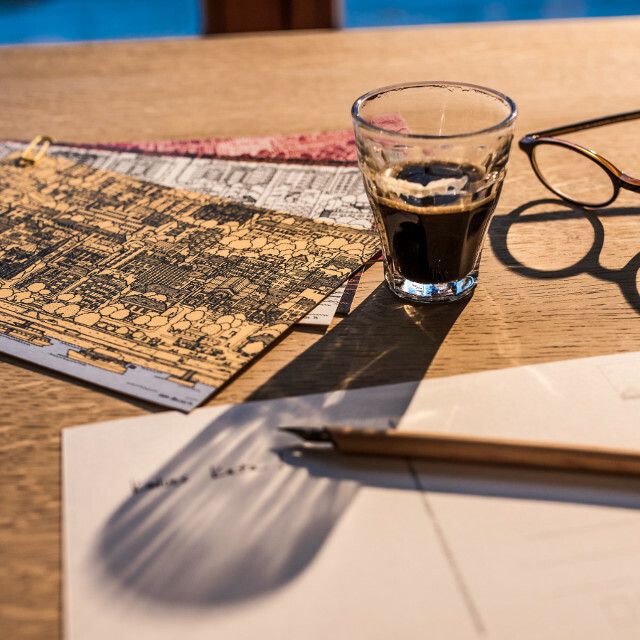 We also offer you the possibility of unique greeting cards, invitation cards, giant canvas pictures or customized color versions for the wall of your room or your office.